In September, Dara Khosrowshahi, Uber CEO, served one year behind the company’s steering wheel. Since then, he has tried to raise the image of a company involved in a variety of controversies. The turn remains far from complete. The list of scandals when he arrived at Uber included accusations of sexual discrimination by employees, complaints of drivers for falling profits and even a controversial software that sought to avoid regulatory authorities. Costa Rica is not the exception in the controversy. In our country, there are angry (official) taxi drivers who accuse Uber of unfair competition for not paying the same economic charges (taxes, and licensing fees as an example); Uber drivers with exhausting shifts of up to 16 hours to earn an acceptable income, and a government pressured to regulate the service due to user demand. In the first interview with a Latin American media outlet, Khosrowshahi spoke to La Nacion on Wednesday, during a meeting at the Uber headquarters in San Francisco, California. 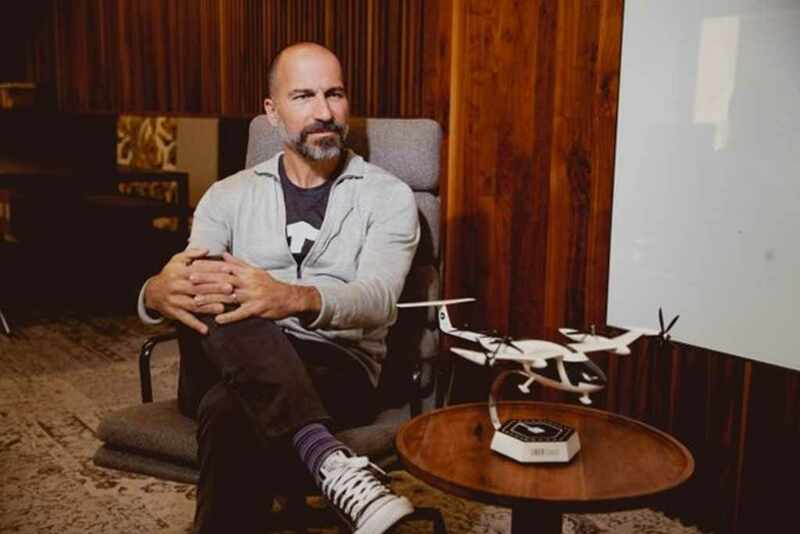 Asked how he sees the future of transportation, say in 20 years, Khosrowshahi, an Iranian-American businessman and former CEO of Expedia Group, said, “One of our missions is to replace the possession of cars using vehicular mobility as a service. There are more than a trillion cars in the world and 95% of the time they remain unused. We believe that cars are a huge waste of resources. “Often parked cars consume 20% to 25% of the space in the cities, that space could be used to build places to live or parks. For us, sharing a car for transportation and having several people in the same vehicle makes the most sense. In terms of efficiency and benefits for society, the city and people, we believe that it is a better way to use space and assets. LN: Are self drive vehicles a stage in that roadmap or is it the future of transportation? Khosrowshahi, also a member of the board of directors of BET.com, Hotels.com, and The New York Times Company, believes autonomous vehicles, fundamentally will be the cheapest and best way to move people. LN: So, how far would you say this (autonomous) process will go … airplanes, trains, ships? What can be the risks and advantages in your opinion? DK: We believe that the challenge for autonomous transport is easier for trains and planes, and even buses with fixed routes, with respect to passenger vehicles. As always there will be regulatory issues and traditional resistance. We are in the car business and we invest aggressively in our core, but these are technologies that can be extended to other parts of society. LN: One of the main criticisms against Uber comes from taxi drivers for whom they say the company is unfair competition because it does not have the same economic burdens as them. Taxes, for example. What would be “doing the right thing” from Uber’s point of view before the claim? DK: We think that competition improves the market, it improves us as a company and, in the end, it forces the taxis to be better too. We believe in a level playing field for all players. In the long run, we want to extend our platform to make our demand available not only for us but also for taxis and other modes of transport, and we welcome a fair regulation that we believe should also be a modern regulation that extends mobility to a larger segment of the population instead of limiting it. I think that what is different about Uber is that we are not just a digital service such as Google or Facebook. We fundamentally touch the way people live physically in each of the cities where we operate. LN: Why is Costa Rica useful for Uber? It is true that in Latin America we have one of the highest Uber user rates but it is a small market full of angry regulators and taxi drivers? DK: I think that what is different about Uber, such as business and service, is that we are not just a digital service such as Google or Facebook. We fundamentally touch the way people live physically in each of the cities where we operate. So, Costa Rica is not an idea for us, it’s a place where we already have 22,000 members (drivers) who make a living on our platform and 700 employees at our center of excellence in the country, a nation where we have a substantial investment. The company has a saying and a norm that also says: ‘we build globally but we live locally’. What is different is that if a local business in Costa Rica advertises itself on Google, and someone clicks on that ad, that money for advertising leaves Costa Rica. With us, the vast majority of the money goes directly to the driver and stays in the country. We are a local business. We do not think of Costa Rica as an idea because our people are in the field. It is a prosperous culture and we are very hopeful of the country’s development in Latin America and we want to be a part of that. LN: How much have you invested in Costa Rica? LN: In Costa Rica, we have individuals who own several vehicles and rent them out to people with no work for a fee of about $200 per week. This means work shifts from 14 to 16 hours a day to achieve the weekly quota and earn some profit. That is a form of exploitation. We want to know your opinion on this since Uber establishes prices, charges directly to customers, can disconnect drivers from its platform and also defines how the service is provided? DK: We are not a direct employer. Any managing partner can enter or leave the platform at any time they wish. The design of the platform is one in which we base this open ecosystem and when you have an open ecosystem, one area where we take things very seriously is safety, with which we want to ensure that our drivers are up to date with their licenses, background and other controls are reviewed. So, if we have active drivers working 14 to 16 hours, it is not only a potential form of exploitation but also potentially unsafe. We have recently introduced a series of security factors in the application to make sure that you cannot drive too many hours in a row, that background checks are made, that the identity is established and so on, but if this type of exploitation is taking place, it is something which we want to know and if we can do something to improve things on the platform, we will assume it. Shifting the interview to Uber’s problems around the world, on the problems Uber has dozens of countries, where neither governments nor taxi drivers plan to surrender, Khosrowshahi said he believes the solution is in dialogue. “I think many cities now understand that Uber is a force for good; a social force in terms of making the movement of people available and also an economic force by providing a life for many driving partners and, as I mentioned, in Costa Rica we are a great employer,” said Khosrowshahi. Asked about Greyball, the software tool used by Uber to identify and deny service to certain riders, including riders whom Uber suspects of violating its terms of service, to evade local government authorities such as in the United States, Australia, South Korea, and China, Khosrowshahi said the company must take responsibility for the mistakes of the past and now would never undertake a similar initiative. “Today we have an important value that is doing the right thing, period. It seems to me that when something happens in the past of a company, it must be honest about it and face the consequences,” said Khosrowshahi. In the days following the publication of the New York Times story in March 2017, Uber admitted that it had used Greyball to thwart government regulators, and it promised to stop using the tool for that purpose. “The consequences are the following: now I am the executive director, we have a new legal director, Tony West, who comes from the (U.S.) Department of Justice and we also have another director of finance. I believe that the company has felt the consequences and has turned towards another type of leadership today determined to take the company in a new direction. This means not growing at any cost but growing with dialogue and benefits for the cities and countries where we operate,” Khosrowshahi said. LN: How flexible do you think labor standards should be in countries where Uber is with respect to labor rights? DK: Well, it seems to us that our basic concept is that we will be an open and available platform for those who like to join it, as long as they are safe collaborators, have an appropriate background, know how to drive and their record is safe driving. Within this framework of an open platform, we welcome dialogue with local regulators about the nature of work. LN: A criticism of Uber is that it establishes itself in the countries and, when faced with regulation or protest from the taxi drivers, tries to win the favor of the users and use that support to pressure the authorities. In just four years, today Latin America is Uber’s most profitable market. Did this happen due to the lack of preparation of the authorities or updated transport legislation? 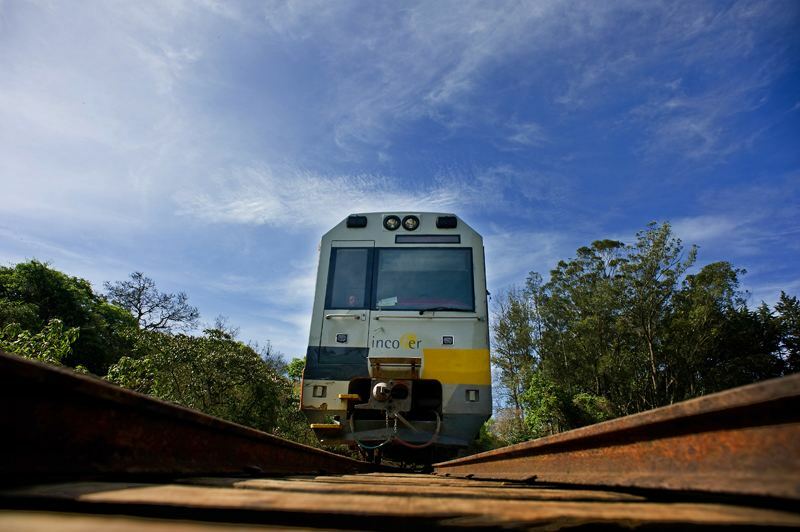 DK: We consider that public transport has not been as developed in some of the Latin American markets. We believe that people need to move and we provide a wonderful and easy service for users and we also provide a source of income and work for hundreds of thousands of drivers in Latin America. LN: And now Uber is extending to other forms of mobility that open the door to new regulatory challenges and more technological complexity. Is sharing the data generated by Uber the way to get to the heart of the authorities and keep moving forward? DK: Sharing Uber’s data is a reflection of our openness and our desire to partner with cities to create a more effective and better transportation network. In the end, where we want to go is to be a company of shared trips to one of mobility services; to be a strong employer and a partner for cities solving their transportation challenges in the future. Read the entire interview (in Spanish) in La Nacion.